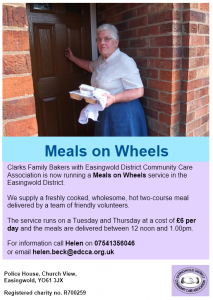 Easingwold District Community Care Association (EDCCA), has launched a new Community Initiative in Easingwold for local residents and the surrounding areas. It is called Men in Sheds and will be joining nearly 500 established groups located across the UK who are part of the rapidly expanding Men in Sheds concept. In 2013 there were only 5, so the question is what is this all about and why is it so popular? After retirement or when personal circumstances change it is common to feel a little at a loss and to miss workmates, friendships, relationships and banter. 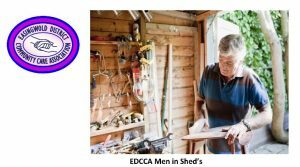 Men is Sheds is all about providing a community space for groups of predominately older men, who would like to re-build social connections. 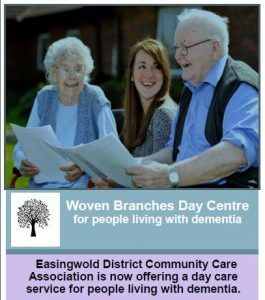 Its aim is to give you the opportunity to enjoy the company of others, talking, sharing, creating and doing something practical. The whole idea is to have a reason to bring people together. Men in Sheds activities are decided by the group. 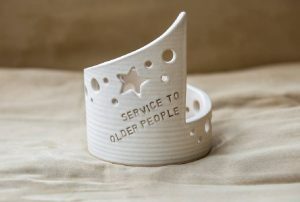 Some groups are involved in D.I.Y, making, mending and repairing all sorts of items, big and small. Other groups enjoy gardening and managing an allotment where they can grow fruit and vegetables. 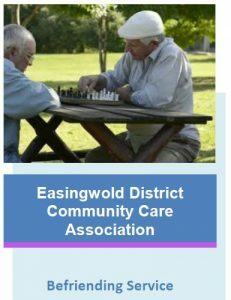 In Easingwold you can do both. We have acquired an allotment at Stillington Road and are in the process of building a large shed on the site. Whatever the activity, Men in Sheds is not just about the allotment and the building. It is about the relationships and companionship that develops between the group. Some men will have skills they can share and some will learn new skills through being involved. Fundamentally it is about enjoying your day with likeminded people and sharing experiences. 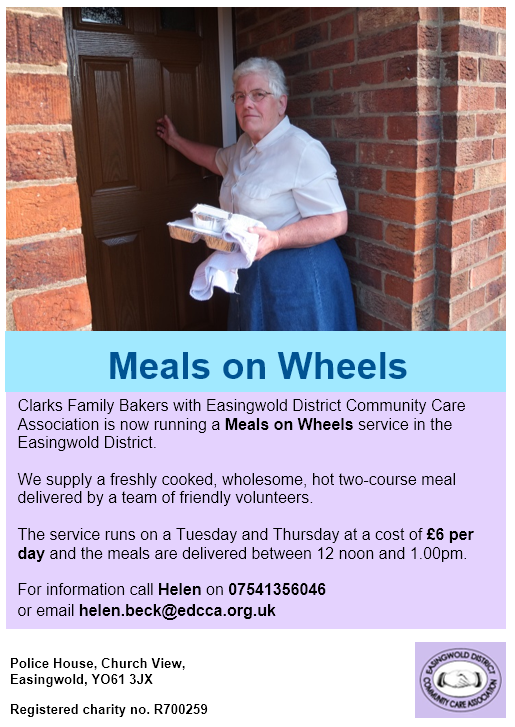 EDCCA are lucky enough to be the chosen charity in the Nationwide branch in Easingwold from January until April. 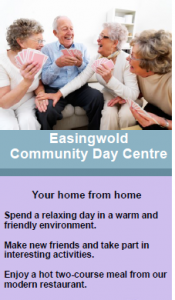 We have a picture quiz with celebrities and places for £1 and the prize is a voucher from a coffee shop in Easingwold. We also have an original Art raffle for which tickets are on sale for £1. This gives you 5 chances to own an original piece of art! 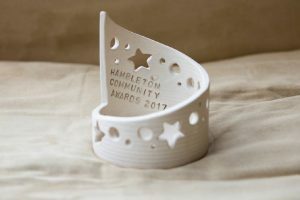 The winners will be drawn at the beginning of May. The last cake sale will be on the 26th April. Please feel free to make a cake or pop in an buy one. The remaining little knitted chicks with a crème egg inside are on sale for £1. The have been very popular and will soon be sold out. We are very grateful to Nationwide for their support. 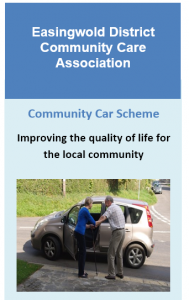 Someone has offered to donate their winter fuel payment to EDCCA as they do not need it. If you are in a similar position please consider donating it to us and we will use the money to support people in our community that do need help. 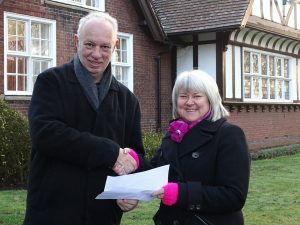 Furthermore, we are now registered for Gift Aid and this can make any donation worth far more. Tuesday 14th May – Fabulous Whitby! The event on the 14th November was a great success and it was lovely to see so many people come to support us. Thanks to everyone who organised, helped and attended. We have launched a new brighter logo and we hope you like it.